Sony has revealed that the new slimmer, lighter PlayStation Vita Wi-Fi model will finally make landfall stateside early next month. The handheld console, already available in Europe and Japan, will arrive as part of a bundle that also includes a copy of Borderlands 2 and an 8GB memory card. If you aren’t up to speed, the new PS Vita Slim features 1GB of internal storage, an all-new LCD screen, improved battery life and a revamped design that is said to be easier to hold. Borderlands, meanwhile, is an immensely successful game that’s already shipped more than 7.5 million copies and is on track to becoming the best-selling title developer 2K has ever released. In addition to Borderlands 2, the bundle also includes six add-on packs for the game including Captain Scarlett and Her Pirate’s Booty, Mr. Torgue’s Campaign of Carnage, the Psycho and Mechromancer character classes, the Ultimate Vault Hunter’s Upgrade pack and the Collector’s Edition pack. It’s also worth pointing out that the game is cross-save compatible with the PlayStation 3 version should you also happen to own that. 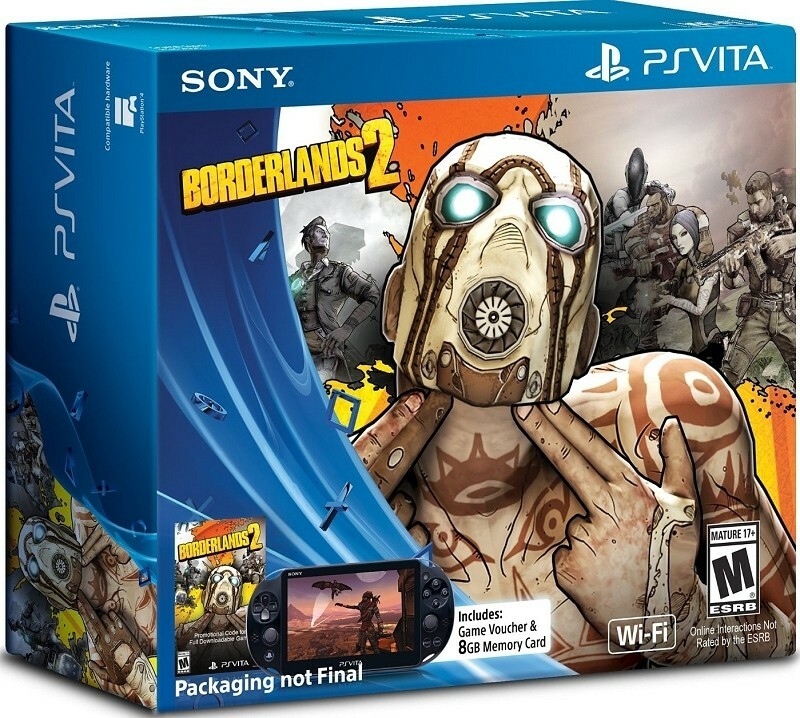 According to a blog post on the matter, the Borderlands 2 Limited Edition PlayStation Vita Bundle will be available as of May 6 priced at $199.99. The game sans bundle will hit the PlayStation Store for download a week later on May 13 for those not looking to replace their existing Vita.